My first meeting with Yasuo Kobayashi Sensei took place at the Aikikai Hombu Dojo in Tokyo in the summer of 1969. I was in Japan for a ten-week stay to practice aikido. On my arrival I carried with me two letters of recommendation, one for Doshu Kisshomaru Ueshiba and the other for Koichi Tohei Sensei. Both letters described the purpose of my visit: to train in aikido, and to carry out research on the Founder Morihei Ueshiba. I very much enjoyed training at the Hombu Dojo that summer. Among the several teachers whose classes I attended was Yasuo Kobayashi Sensei. I remember him as a personable, easy-going instructor in his early 30s who would circulate during training assisting students and taking ukemi. As my stay in Japan drew to a close, even though I had many excellent opportunities to train, I found that I was unable to make much progress in finding historical material on O-Sensei. There were few documents available through the Hombu Dojo other than the recently published Aikido Kaiso Ueshiba Morihei by Kanemoto Sunadomari, a book that placed great emphasis on the Founder’s association with the Omoto religion but provided little detail on other aspects of his life. Not being able to make much headway in this respect was of course a disappointment. As my level of Japanese comprehension was very poor at that time, I don’t exactly remember what the circumstances were but somehow Kobayashi Sensei invited me to pay a visit to his recently opened private dojo. It was located in Kodaira City about 45 minutes by train from Shinjuku and he had built it himself as an addition to his home. This modest 20-mat dojo was to be the beginning of the Aikido Kobayashi Dojo network of schools he would later establish. 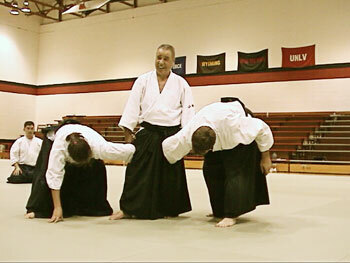 I was honored to have received Kobayashi Sensei’s invitation and to train with him in familiar surroundings. After practice, knowing my interest in the history of aikido, Kobayashi Sensei pulled out a photo album that included scores of wonderful images of O-Sensei. I had never seen such a collection of photos of the Founder and was absolutely thrilled to be able to inspect them closely. Then to my surprise and delight, he removed one of the photos from the album–an excellent shot of O-Sensei wielding a jo–and presented it to me. This was the start of the Aiki News collection of photos of the Founder that would later expand to several thousand items. I will always remember the hospitality and kindness of Kobayashi Sensei and his wife on that occasion. After I moved to Japan permanently in 1977 I had occasion to meet Kobayashi Sensei several times each year at Aikikai functions and at the Iwama Taisai. In January 1985, I conducted an interview with him wherein he reminisced about his beginnings in aikido and described his current activities involving the spread of aikido through Aikido Kobayashi Dojo. That interview was published in Aiki News #70 later that year. This timing of this interview happened to coincide with our plans for a large public demonstration that would bring together in a single venue noted aikido teachers from a variety of organizations. We succeeded in getting seven well-known teachers to accept our invitation to share a common stage. One of those we invited was Kobayashi Sensei. The concept of a public demonstration including high-profile figures from different organizations performing together was not received with enthusiasm in all quarters. Behind the scenes pressure was brought to bear on key invitees to obtain their withdrawal from the Friendship Demonstration. One of those contacted and persuaded to pull out was a famous aikido figure, a name immediately recognizable to most practitioners even today. Unfortunately, the news of this teacher’s change of mind reached me while I was traveling abroad. On my return to Japan, I hastily arranged a meeting with him hoping to convince him to reconsider his decision. Rather confused and embarrassed by the whole affair, he explained the awkward situation he had been maneuvered into and for a moment during our conversation seemed to waiver about his course of action. Alas, after making a phone call in my presence to further discuss the matter with one of the parties seeking his withdrawal, he regretfully informed me that he would not be attending. Being a man of honor, shortly thereafter he sent me a formal letter of apology. As a footnote, we invited this teacher to participate the following year and he appeared giving a wonderful performance in the 2nd Friendship Demonstration in 1986. In any event, the result of this teacher’s withdrawal was a “panic” among the remaining invitees. Upon hearing the news, four of them wavered about whether or not to pull out of the Friendship Demonstration in light of events. Aiki News was put in an extremely precarious situation. We had already reserved and paid for the large facility to be used for the event. Also, we were fully committed in our advertising and had collected a sizeable sum of money for tickets, all of which would have had to be reimbursed in the event the demonstration were to be canceled. Heartened by Kobayashi Sensei’s principled stance, we contacted each of the other invitees who were considering pulling out. Using Kobayashi Sensei’s unwavering support as an example, we succeeded in persuading each of them in turn to honor their commitment to participate in the Friendship Demonstration. As they say, the rest is history. On April 7, 1985, the 1st Aikido Friendship Demonstration took place in Tokyo and was a resounding success attracting more than 900 people. My personal debt of gratitude to Yasuo Kobayashi Sensei for his courage and integrity on that occasion is immense and can never be forgotten or repaid. By the time of the events involving the 1st Friendship Demonstration occurred, Kobayashi Sensei had already established a broad network of aikido schools known as “Aikido Kobayashi Dojo.” This association grew out of that first modest home dojo that opened in 1969. In addition, he already had in place a active program to develop professional instructors. 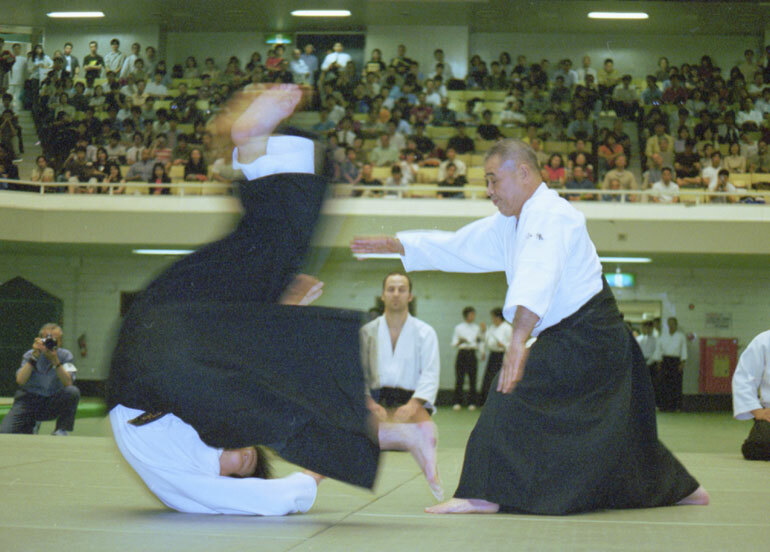 Certainly Kobayashi Sensei’s engaging personality and organizational skills gave him great confidence and placed him in an unassailable position in dealing with other entities in the aikido world. This inner strength was amply demonstrated through his exemplary conduct during the episode alluded to above. I had an opportunity to witness first hand the inner workings of Aikido Kobayashi Dojo in 1989. This was in connection with the planning of the organization’s 20th anniversary demonstration. We made arrangements to videotape the event and market the program in Japan and abroad. In this connection, we were invited to attend a weekly meeting of the professional instructors of Aikido Kobayashi Dojo to discuss their upcoming event. These were the teachers who had been trained by Kobayashi Sensei and who were operating the satellite schools that formed the core of the system. It was very interesting to observe the close coordination among the instructors and how each provided personal updates and input on organizational activities. The meeting was informal with Kobayashi Sensei treating everyone in a friendly way. At the same time, the cohesiveness of this close-knit group gathered together for a common cause was readily apparent. The 20th anniversary event was, by the way, a huge success with more than 2,000 persons from Japan and abroad in attendance including then Doshu Kisshomaru Ueshiba. Kobayashi Sensei continues at the same unabated pace today and his association of schools has grown to more than 90. In recent years, his son Hiroaki has assumed direction of the Tokorozawa Dojo and is being groomed to succeed his father. I had the opportunity to visit with him just last month [September 2002] at the same Kodaira dojo I was hosted at 33 years earlier. I availed myself of the opportunity to explain the concept of the Aiki Expo and to invite Kobayashi Sensei to join us in Las Vegas in 2003. 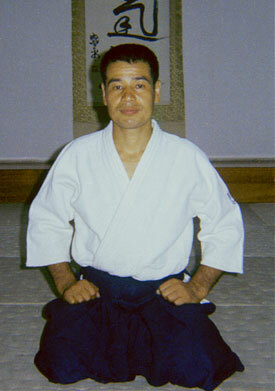 We are extremely pleased to have Yasuo Kobayashi Sensei as a participant in Aiki Expo 2003. His life in aikido is the embodiment of the art’s ideal. His dedication and interpersonal skills are a model and his success a testimony to the efficacy of his approach.